Source: Samson-Lauterwald, H. 2016. Music in the Zarzuelas of Severino Reyes ("Lola Basyang"). University of the Philippines Press. UPAA Germany e.V. in cooperation with the Philippine Embassy Berlin presents "Music in the Zarzuelas". The presentation will give an overview of the music in the zarzuelas of Severino Reyes (1861-1942), a writer and dramatist who wrote the libretto to a total of twenty zarzuelas in which he worked closely with Filipino composers ranging from Fulgencio Tolentino (1870-1940) to Antonio Molina (1894-1980). Unfortunately, only eleven of these works have extant music today. Nevertheless, the works of Severino Reyes, who is also known as “Lola Basyang”, present a good cross-section of musical theory and practice in the Philippines early in the twentieth century. The presentation will also feature examples of zarzuela music. The language that will be used is English. However, the speaker can also speak German and can answer questions in German. Admission to the presentation is for free. However, seats are limited. Kindly please register below if your wish to attend the presentation. Dr. Helen Samson-Lauterwald obtained her PhD in Musicology from the University of Cologne in Germany. From the University of the Philippines in Diliman she graduated with a Bachelor of Arts in English, a Bachelor of Music in Piano, and a Master of Music in Musicology. 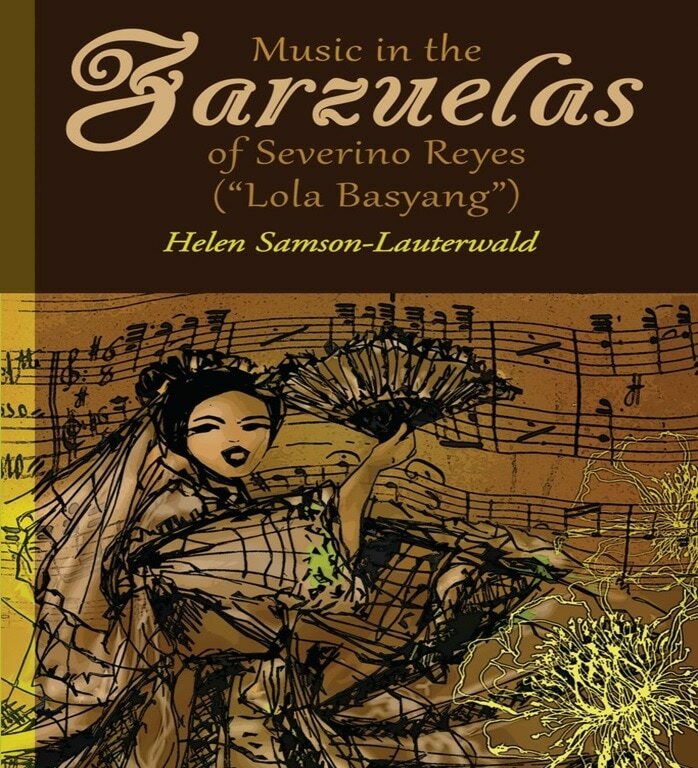 Music in the Zarzuelas of Severino Reyes (“Lola Basyang”) published and launched by the University of the Philippines Press in November 2016 is her eight book. Her other publications include the first and second (updated and revised) editions of The Bamboo Organ of Las Pinas; Diego Cera: Biographical Impressions, an English translation of the original Spanish by F. Salamero of Barcelona; and Die zeitgenössische Kunstmusik der Philippinen im Spannungsfeld zwischen nationalem Erbe und europäischem Einfluß. She also co-authored the first and only German-Filipino Filpino-German dictionary now in its 5th edition. From her high school alma mater, Maryknoll College, she received the Amazing Alumni Award in 2008. Her biography appeared in the International Who's Who in Classical Music and she was recipient of a prestigious research fellowship in the field of Musicology from the Alexander von Humboldt Foundation. YES, i wish to attend the presentation on the "music in the zarzuelas"
Note: Photos and/or videos may be taken during the event for use in the Philippine Embassy and UPAA Germany’s website, Facebook page, newsletter and/or other documentation. In case you do not wish your picture to be part of any documentation, we kindly request you not to take part in group photos during the event and please alert the photographer(s) that you do not wish to be photographed. Thank you.